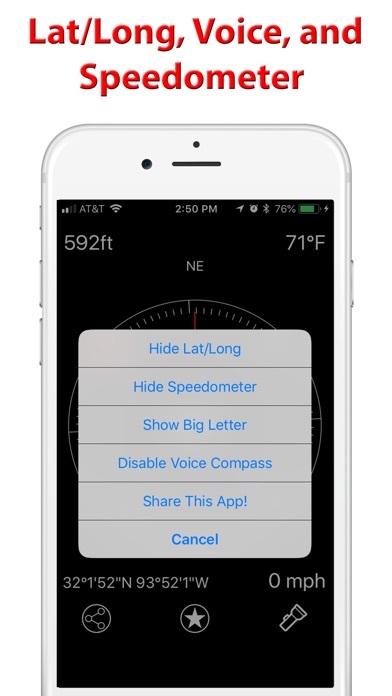 A practical accurate compass that is easy to use and read. Great for outdoor hiking, camping, backpacking, treks, and road trips. 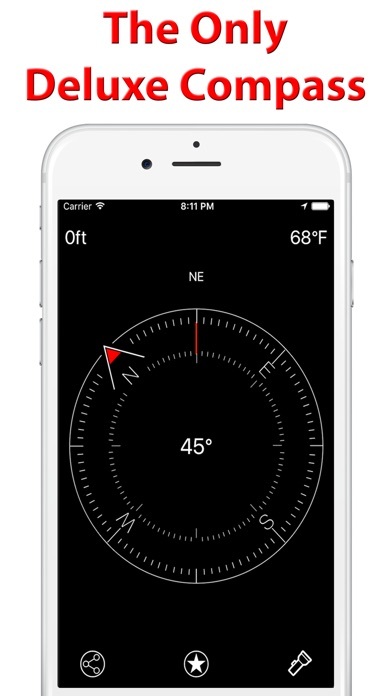 Features -Heading -Magnetic North (screen displays red at True North) -Cardinal direction -Weather Temperature of your location (must enable location services) -Altitude -Big Letter Compass Reading -Flashlight for night time usage -FREE Speedometer, Latitude/Longitude Display, and Voice option available with in-app purchase. 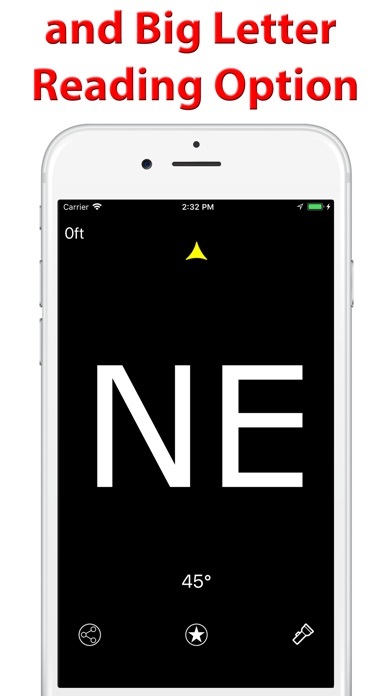 Disclaimer: App will not have function properly on devices without a magnetometer, such as the iPod Touch 5th generation or below. AVOID use near metallic objects and magnetic cases to prevent interference. Love the altitude showing. Use it in the mountains with the compass frequently. Really a nice full featured compass. 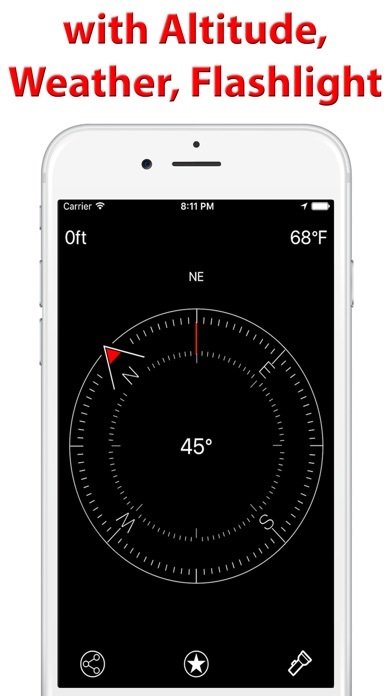 I wanted a compass app for my Apple Watch, and this one was on a list for top apps for the watch...only it doesn’t appear to work on my watch. I should have made sure before buying the package, although I’ve spent $5 on worse things. This is the best app ever! This is the best app ever then anything else in the hole world!